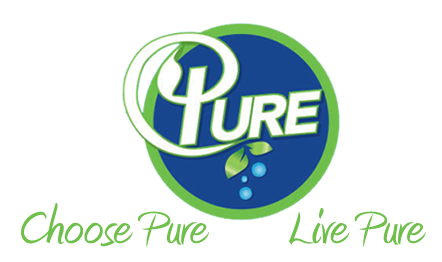 Thanks to PURE Natural Laundry Detergent for sponsoring this post and for making a terrific and truly natural laundry detergent! Wherever you are on your green journey, you’re surely finding something you can do better every day of the week. Have you been replacing your personal care products with healthier, nontoxic alternatives? Cleaning with homemade or nontoxic cleaners? As you probably know, conventional cleaners, including laundry products, contain an alarming array of synthetic chemicals linked to reproductive and developmental harm, cancer, and numerous other health effects. You can read more about why you want to steer clear of conventional cleaners here. Even those of us who’ve been greening our habits for years learn something new pretty regularly. I hope you’re savvy to the ways of greenwashing. I think I generally am, but I got a bit of a surprise recently when I did a little digging. I thought I’d done my homework, making many of my own cleaners and looking up the “natural” ones I bought in the Environmental Working Group cleaners database. Just for kicks, I checked out the ingredients in the laundry detergent I’ve used for years. It was clearly labeled A. So far so good. But then I clicked on it to see the individual ingredients and was shocked to discover that my grade A product contained a number of C ingredients, including sodium lauryl sulfate, which is a skin irritant toxic to aquatic life. What??? I’m waiting to hear back from EWG — a wonderful consumer watchdog organization that I donate to regularly — to find out more about how their system works and why so many C ingredients can be used in a product they give an A rating. And I’m switching brands! I don’t know about you, but I’d rather not put my family’s clothes in this stuff, nor dump it in our waterways. If there’s a greener path, we should take it, right? Not sure if you’re using a truly natural laundry detergent? Be sure to look up the one you use now, and click through to see the grades for the individual ingredients. So how about something without any harmful ingredients at all? 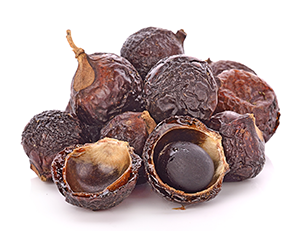 You may have heard about increasingly-popular soap berries, the fruit of the sapindus mukorossi tree, which release a soapy substance called saponin that can be used to clean clothes. I love that they’re a seriously low-impact way to get clothes clean, since they’re simply unprocessed fruit from a tree and can be composted when they’re spent. But here’s the thing: Soap berries don’t work well in a lot of front loader machines because they require more water. And high-efficiency front loaders are a really smart move for conserving precious H2O. 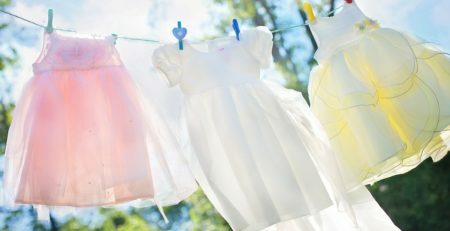 What’s an eco-conscious person with clothes to wash to do? Use a liquid detergent derived from soap berries, of course! 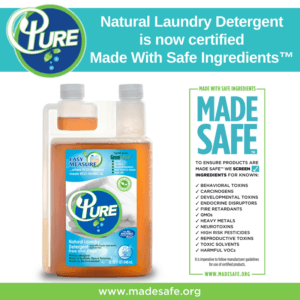 Years ago, when Blaine Burgan, the innovator behind PURE Natural Laundry Detergent, discovered that his kids had allergies to chemical laundry detergents, he sought out natural and safer alternatives. As the owner of a laundromat, Blaine noticed that people were using detergents they thought were natural but that actually contained chemical ingredients considered harmful to human health and the environment. He was frustrated that big “green” brands were using harmful synthetic ingredients like sodium lauryl sulfate but were still calling themselves natural. He saw a problem and sought to fix it, sourcing ingredients that were truly natural and safe. You can see all the ingredients in PURE detergent here. Interested not only in protecting human health, but the environment as well, Blaine worked to find ingredients that were entirely plant-based and non-GMO. When he learned about soap berries, he knew he’d found his answer. However, he recognized that unprocessed soap berries had limitations, both because of the water needed and because not everyone would get on board with something that seemed so different from traditional laundry liquids and powders. So he started to develop a liquid product that could help more people have safer and healthier laundry. America’s first nontoxic certification for products we use every day, from baby and bedding to personal care and household products. For the first time, people can easily find and buy products that are safe to use with on their bodies, with their families, and in their homes. MADE SAFE means certified products have been examined by scientists for known behavioral toxins, carcinogens, developmental toxins, endocrine disruptors, flame retardants, GMOs, heavy metals, neurotoxins, high-risk pesticides, reproductive toxins, toxic solvents, or harmful VOCs. Ingredients have been further examined by a chemist for bioaccumulation (builds up in our bodies), persistence (builds up in the environment), and general and aquatic toxicity. Wow. That’s some rigorous standard. Kudos, Blaine! He also noticed his customers were using far more detergent than necessary and wanted to help them waste less. He designed a dispenser that makes it easier to measure exactly the right amount. Trying to bring a healthier product to more people, Blaine wanted to keep the price point well below conventional store brands. The detergent is concentrated, and a 32oz bottle does 64 loads. 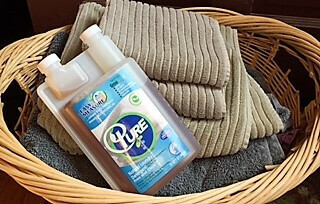 In PURE, says Blaine, “ECO-FRIENDLY meets ECONOMICAL.” Yet another way greening your routine can save you money! Kids’ muddy snowpants and food-spattered shirts also came out cleaned-up and ready for more mess-making. And I didn’t pollute our waterways or expose the family to laundry chemicals in the process. Woohoo!! 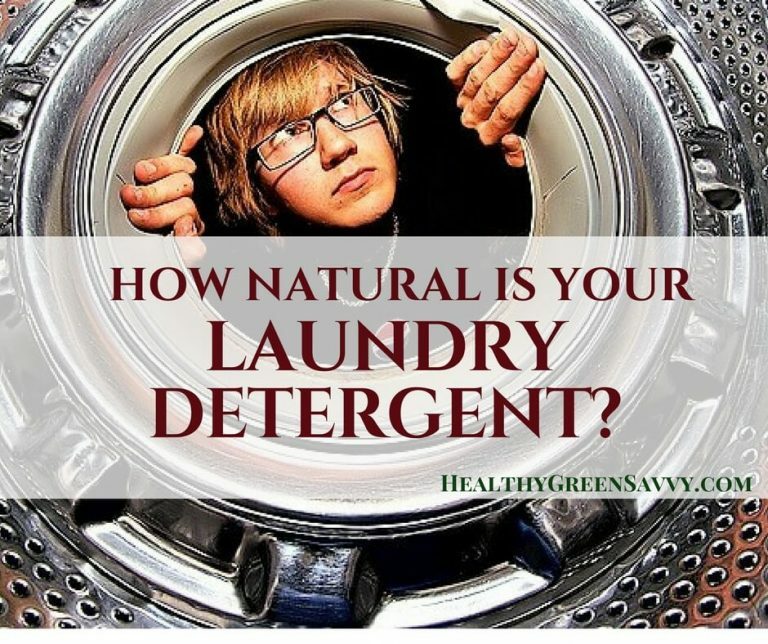 Want to join me in just saying no to unnecessarily risky ingredients in our laundry and try out some laundry detergent safer for your family and the planet? 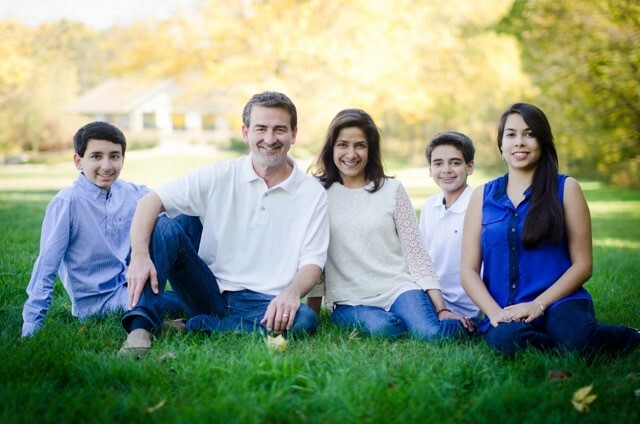 The Burgan family, makers of PURE Natural Laundry Detergent.